Doomed romances make great fiction. They take the story out of the realm of happy-ever-after-fairy tale and into real life. 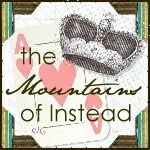 There’s always a place for ‘Reader I married him’, but the romances we remember are the ones that didn’t work out. That’s what keeps us reading. Even though we know it’s going to end badly, there’s that hope against hope that it will be fine in the end. It never is, of course, and that’s when we wipe a tear away. Relationships that move us deeply stay in the memory. I never write straight Romance, but in all my books my characters develop significant relationships of one kind or another. In This Is Not Forgiveness, I wanted the main character, Jamie, to fall head over heels for a girl who is drop dead gorgeous but will cause him nothing but trouble. At first, he can’t believe his luck that’s she’s even noticed him, let alone consented to go out with him, so when she tells him that she ‘doesn’t do love’, he doesn’t believe her. It is not until he is too far in to go back that he realizes what a price he will have to pay. With Caro, I wanted to see if the experience of being with a boy like Jamie could change her mind. 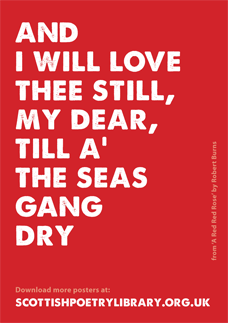 Cathy and Heathcliff – Wuthering Heights for a romance that transcends space and time. Romeo and Juliet – for that hope against hope I get every time I see the play that this time things will work out differently. Scarlett O’Hara and Rhett Butler in Margaret Mitchell’s Gone With the Wind. Made for each other, clearly, but it is not to be. Tess and Angel Clare – Tess of The D’Urbervilles – because Tess is such a great character and deserves better, much better, than she gets from life or from Angel Clare and, again, I get this ‘what if’ feeling every time I read it that this time things will work out fine. Kit and Holly in Terence Malick’s Badlands. The classic folie à deux – a madness shared by two people that puts them outside normal society. No matter how bad the things are that they do together, you kind of want them to get away with it, but know that is not going to happen. Bonnie Parker and Clyde Barrow in Arthur Penn’s Bonnie and Clyde - for the same reason. Thanks so much to Celia for such an interesting post. This Is Not Forgiveness is published by Bloomsbury on 2nd February. For my review and to win a signed copy (UK only), go here! I'm delighted to be a stop on the blog tour for This Is Not Forgiveness by Celia Rees today. The book is quite brilliant and I'm pleased to be able to offer a SIGNED copy of the book to one lucky UK winnner. My review of the book is below and if you'd like to enter the giveaway then just leave a comment below. Early summer, a busy café and an oddly alluring girl… from the moment Jamie first sees Caro he’s smitten, despite the warning signals blaring at him from every direction. Caro is a bad girl, strange and a bit wicked. At least so says his sister and the local gossips. Yet Jamie cannot stay away from her. His brother, Rob, laughs at him, tells him that Caro is out of his league but Rob has his own problems. Badly injured while serving in Afghanistan, he finds himself lost and functionless. Until, that is, Caro sets her sights on him as well as Jamie. 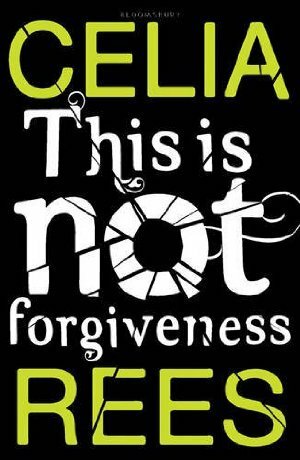 This Is Not Forgiveness is quite a departure from the historical fiction that Celia Rees usually writes and a successful one at that. Told from three separate points of view a story unfolds of heartbreak, betrayal, love, loss and war wounds that run deep. It is by no means an easy read, nor a happy story but it is certainly a tale worth reading as it will give readers much to think about. While the novel is told from the points of view of Jamie, Rob and Caro, it is Jamie who is the core protagonist and it is through his narrative that the other two stories are woven. He’s at heart a nice guy, doing his time at six form college with a canny eye on his future. Until Caro appears on the scene, his only real concern is Rob, a brother who inspires in him affection, fear and pity in equal measure. As Caro becomes increasingly involved in his life his actions reflect both confusion and caution – he seems always to be walking on thin ice and his conflict is never anything but believable. Caro is never a particularly likable character nor, it would seem, is she meant to be. Strikingly single minded she thinks nothing of manipulating those around her to her own purpose, regardless of consequence. Cool, collected and controlling she has intentionally closed herself off from emotion and seems driven only by grand and somewhat uneducated plans. Caro is the hardest character to get to know in This Is Not Forgiveness but as she emerges it becomes clear that this is a girl desperate to be noticed, to make her mark and to not be left behind. While Jamie and Caro carry much of the narrative it is Rob whose voice is strongest in This Is Not Forgiveness. Lacking the education of Jamie’s voice and the navel-gazing quality of Caro’s he is, in many ways, the one voice of utter honesty. A born soldier, his injury has rendered him useless in his eyes. As he sinks further into a world of nightmares, alcohol and bar fights his conflict is tangible and heart-breaking. Yet he is not a nice man. He himself suspects that his propensity towards violence verges on the sociopathic and he seems to be in constant conflict not just with the world at large but also with himself. This, combined with his feeling of betrayal by the army and the government governs his life leaving him, like Caro, desperate to have his voice heard. The writing in This Is Not Forgiveness is excellent. The story itself is fairly simple, each narrative strand drawing readers towards the dramatic finale, but the themes that Celia Rees concentrates on are far from straight-forward. Most obviously she highlights the plight of those returning from conflict bearing scars, whether mental, physical or both, who find themselves isolated and abandoned. Using this as her basis, Rees then weaves a cautionary tale of the extremes individuals can go to when they feel ignored, disenfranchised and powerless. It’s a sobering tale and one worth reading for, as a fable for modern times, This Is Not Forgiveness rings sadly true. This Is Not Forgiveness is available on 2nd February. Thanks to Bloomsbury for sending me this title to review and for facilitating the UK-wide giveaway. Please be sure to check out the other stops on the blog tour and have a gander at the trailer to further whet your appetite! 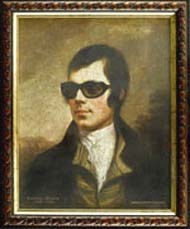 Burns Night is now upon us but before I sit down to my haggis, neeps and tatties (seriously, it's tasty) I'm here to offer a Scottish themed giveaway both in honour of the bard himself and in support of the Team Kilt Burns Festivities. So here, today, you can win a copy of the fabulous Torn by Scottish author Cat Clarke! Yes, it's true! When Alice King heads from London to the Scottish countryside for a school trip, her biggest concern is leaving her widowed father at home alone. When her group arrive in Scotland, though, things take a turn for the problematic when Alice, her best friend Cass, emo Rae and outsider Polly are roomed with uber mean queen, Tara Chambers. As the week progresses and Tara becomes increasingly cruel, Cass and Polly decide to take matters in to their own hands. Alice finds herself immersed in a situation of which the repercussions are immense and consequences final… and so begins a twisted tale about the line between what is right and what is easy and how even easy can be so very, very difficult. Doesn't that sound just awesome? To win a copy just fill in the form below (which will be open for a week). The giveaway is open to all countries that The Book Depository delivers to. You don't have to be a follower to enter, but it's always nice if you are. Good luck! It's just become apparent that some of you are having difficulty with the giveaway form below - if that's the case then please leave a comment below and that will also count as an entry. Fraser has made some winning points about Glasgow, in fact for a short minute I was rather baffled and had no idea how to respond. But then my brains returned and I remembered that for all Glasgow's music scene and it's alleged patter, Edinburgh just can't be beat. Why? It's easy! Built on seven hills (which are not as onerous as Fraser would have you believe) the city skyline is dominated by Edinburgh Castle and Arthur's Seat. The former is a formidable fortress, the latter an ancient volcanic plug that rises high about the city, stretching out to an impressive craggy outlook - both make for an impressive vista. Spiralling around the castle spreads the city’s Old Town, cobbled streets and tiny passageways leading to magical courtyards and hidden bars and restaurants. To the north, the New Town awaits in all it's pillared splendour, run through by the leafy Water of Leith and home to all manner of gardens, waterside drinking holes as well as the beautiful Botanical gardens. Yes, yes, we all know about Glasgwegian's and their friendliness - it's legendary and it's also mainly true but I've never personally foundGlasgow to be any friendlier thanEdinburgh. In fact, it can be quite intimidating and in your face. Edinburgh prefers to befriend you slowly, with better manners, building a friendship that's stronger and just... means more. While Glasgow is populated largely by, er, Glasgwegians, Edinburgh is a truly cosmopolitan city. 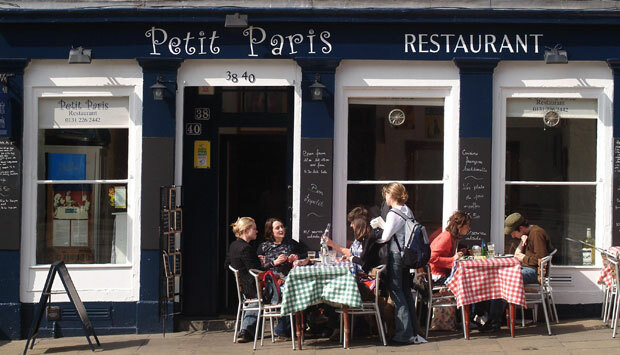 It's drawn people to it's streets from all over the world and while Glasgow feels mainly of Scotland,Edinburgh combines Scottish roots with world ambience - and a better combination cannot be found. In the words of great luminary, Justin Timberlake, “you don’t get nicer than you people”. So there. 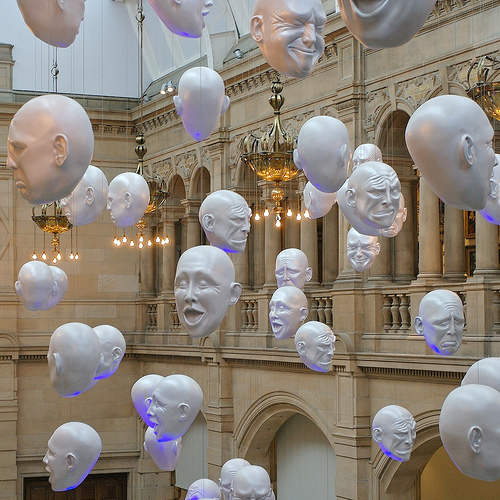 Edinburgh has birthed and housed some pretty impressive faces. Inventor of the telephone, Alexander Graham Bell; pioneer of anaesthesia, James Simpson; Edinburgh University alumni, Charles Darwin. This being a book blog, I'd be remiss if I didn't mention some of the many authors who've lived and worked in the city: Robert Louis Stevenson, Arthur Conan Doyle, Ian Rankin, Alexander McCall Smith, Kate Atkinson, Cat Clarke, Kenneth Grahame, Murial Spark.... I could go on - Edinburgh is a book lover's paradise. In addition to the people, Edinburgh boasts a fascinating history, a seedy underbelly to its pretty, modern-day facade: body snatchers, haunted vaults, plague pits and sealed, underground houses are all part of the city's murky past and add a delightful chill to its present. 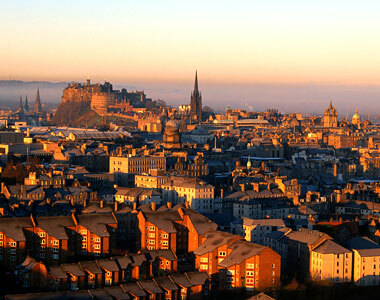 Edinburgh is a World Heritage site and will soon be a World Literary City. It's not hard to see why. If nothing else, Edinburgh knows how to put on a good show. Initially, Edinburgh only had it's International Festival - a few weeks of gorgeous music and stunning art. Impressive, but almost trifling when you look at what has grown up around those few weeks. Visit the city in late summer and you can enjoy the Book Festival, the Jazz Festival, the Film Festival and vitally the Fringe. The Fringe is primarily a comedy festival that attracts names both big and small to the city for a few crazy weeks. Ricky Gervais? See him here. Billy Connolly? No problem. 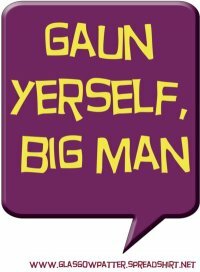 Oh, and all those Glasgwegian comedians that Fraser mentioned? You SHOULD check them out. At the Edinburgh Fringe. They may all come from Glasgow, but they perform in Edinburgh. And the festivals aren't limited to just August. Nope, pop by in December and enjoy a winter wonderland of twinkle lights, ice rinks, torch lit processions and mulled wine at sparkling Christmas markets - and that's all before you take part in Edinburgh's world famous Hogmanay celebrations. 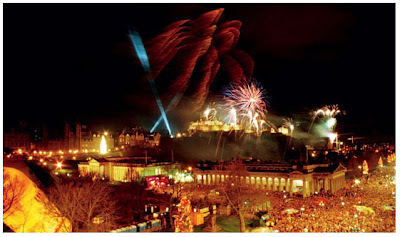 You've not celebrated New Year until you've spent it inEdinburgh, watching fireworks light the sky from every one of the city's seven hills. I have walked the hallowed halls of Hogwarts and explored the streets of Hogsmeade - it's true. How, I hear you ask? Because I have lived inEdinburgh. JK Rowling famously wrote her first Harry Potter book while living inEdinburgh and it's impossible to walk through the city's old town without being aware of how the city inspired her. In fact, she still owns a home in the city now and finished Harry Potter and the Deathly Hallows in the gorgous Balmoral Hotel before defacing a bust (which is still there and available for you to see, should you have the pennies to stay there). Edinburgh Castle is an easy match for Harry's home and the vennels, closes and colourful facades of the nearby streets speak strongly of his wizarding world. So, Edinburgh Castle is Hogwarts and the Old Town is Hogsmeade: Fact. And on that note, I rest my case. There are a million other things that sell Edinburgh as Scotland’s top city – the weather (sun shines more, rain pours less), chippie sauce (completely delicious, secret recipe, better than vinegar on your chips), dark chocolate hob nobs (impossible to get in Glasgow, just ask Aura), a Christmas shop that is open ALL YEAR and more and more and more. 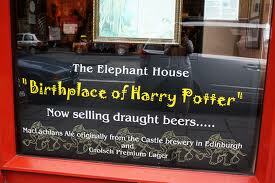 JK Rowling actually still lives inEdinburgh. It stole her heart as it stole mine and as it will surely steal yours and it will do all of this without drunkenly telling you it’s life story over unsauced chips. Beyonce referred to it as a “classy city” and you know, she knows what she’s talking about. So, have we made up YOUR minds? Please comment and let us know. Alternately, drop in to speak with both of us on Twitter tonight where I will be hosting Ask A Real Scotsman at 9pm GMT and 4pm EST. Fraser will be that Scotsman. Sign in to the TweetChat room or use the hashtag #realscotsman to take part. Let me just start by saying this: I like Edinburgh; I really do. It’s a lovely looking city, great arts scene, fantastic views from its many, many hills. But compared to Glasgow? Sadly lacking. And here, in no particular order, are some reasons why it compares badly to the biggest city in Scotland. 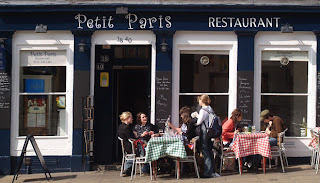 Now before you go on about how you visited Edinburgh once and everyone was really friendly, think for a minute: how many of those friendly people that you encountered in shops, cafes, restaurants and pubs were actually Scottish? There’s a reason for the old joke; go anywhere in the world and you’ll find a Scotsman. Except Edinburgh. It’s true. Glasgow people though, are generally from that area and I know that they sound scary but they’re some of the friendliest, funniest and most welcoming people you’ll ever meet. 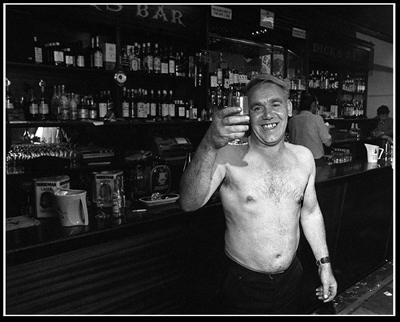 You will never be alone in a Glasgow pub, and will probably find yourself invited to a party at closing time. Glasgow practically has its own language. If you can find your way past the speed that Glasweigans talk at, you’ll still find yourself wondering what some words mean. Ask and we’ll explain them to you. Then you’ll start using them ‘cos you recognize how great they are. I still utter words that my (American) wife doesn’t know after two years of us knowing each other. So by the time you leave after a visit to Glasgow, you’ll have expanded your vocabulary. I wasn’t kidding earlier when I said that the people were funny: in Glasgow, if you strike up a conversation with it’s natives, they’ll gladly and without prompting tell you anything about themselves. And it’ll be funny. Take the night bus and you’ll see people both scary and funny. I love my friends that I have here in the US but no-one can make me laugh like my friends from back home. That big, hearty laugh that bursts out and seems to come from the toes. 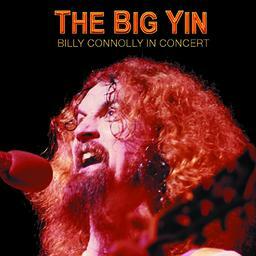 Have you ever seen Billy Connolly tell a story? He is not alone in having that talent: he grew up amongst the people that told the same kinds of stories. And as Connolly said himself, “Glasgow has an Irish-Scottish mix that makes them funny....Edinburgh has an Anglo-Saxon/Lowland mix, which isn’t funny”. “But Edinburgh has a festival every year Fraser, featuring comedy from all over the world”. Aye, that’s my point: Edinburgh has to import it’s comedy. Glasgow just has it. Connolly, Rikki Fulton, Kevin Bridges, Frankie Boyle, Still Game, Burnistoun. I’m sure Edinburgh has comedians, but I’m willing to bet that many more have come from Glasgow. Check out some of those guys, by the way. Just as Glasgow produces some of the best comedy in the world, it also produces some of the best music. And like comedy, if you can win a Glasgow audience, you can win any audience in the world. 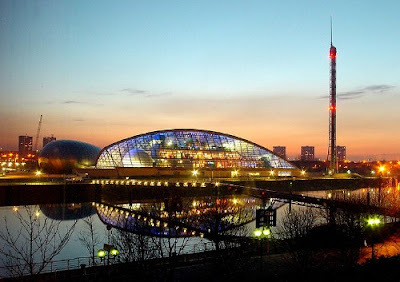 So many acts have come from Glasgow and Greater Glasgow, like Arab Strap, Travis, Belle And Sebastian, Frightened Rabbit, The Twilight Sad, Del Amitri, Biffy Clyro, Teenage Fanclub and even Angus Young from AC/DC. And that’s just the ones I can think of now. Even the music venues are above most other cities. 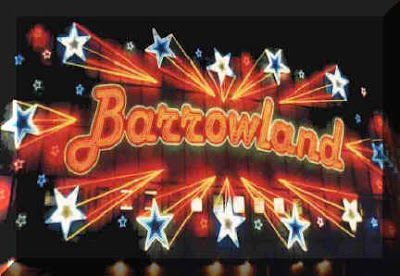 The Barrowland Ballroom is world-famous amongst musicians, frequently cited as a band or artist’s favourite venue and Glasgow their favourite city to play. Glasgow was built around the river Clyde and for decades, heavy industry and shipbuilding provided work for thousands. When the shipyards closed, Glasgow fell into decline and spent much of the Eighties that way. Then the city picked itself up and set about finding other ways to create jobs and make money. It now has a thriving business sector and is the base of many national and international companies, not to mention shopping centres that contain many big-name designer brands and superb nightlife. Edinburgh is a cultural capital, as well as an actual one. I will not try to tell you that Glasgow contains a better arts scene when it’s going up against the host of the Edinburgh Fringe Festival. However, I will tell you what Glasgow has to offer in this sense. The museums are superb, the pick of the bunch for me being the Kelvingrove Art Gallery and Museum. Where else could you see stuffed animals, historical displays, fine paintings AND Elvis? Head over to the People’s Palace and learn Glasgow’s history. While you’re at it, take time to stroll around the fantastic parks both of these buildings are located in, just two of many parks in the city. 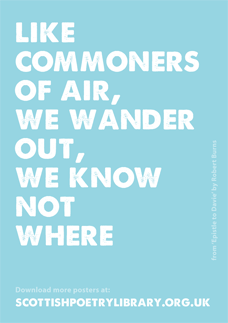 By the way: these museums, and every other? Free. Just stroll in. Not like some other cities I could mention, where they charge you an arm and a leg to get into some castle. There’s a book festival, a film festival, comedy festival, Celtic music festival, Jazz music festival. No need to cram it all into one event, in one month. You’ll find loads of great theatres and libraries and you can even visit the Scottish Football Museum and find out a little about Scotland’s national obsession. 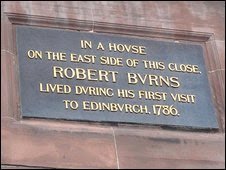 There are a lot of good places to see in Scotland and several cities, each with their own personality. But if you can see only one place in the country, make it Glasgow. If you want the tourist-y, shortbread and tartan experience, you can find it there. But it’s not in your face. Edinburgh knows you’re a visitor and it can’t wait to sell you some plastic bagpipes. If you think Edinburgh is the best example of Scotland, you probably think Washington DC is the best example of America. Glasgow is much more honest and gives you a flavour of actual Scottish life. All while buying you a drink and telling you a great story about a wee guy it grew up down the street from. And you won’t have to climb up any hills. Good points, well made, Fraser. You have set down a worthy gauntlet and I shall be back shortly with several reasons that, depsite the above, Edinburgh is just BETTER! 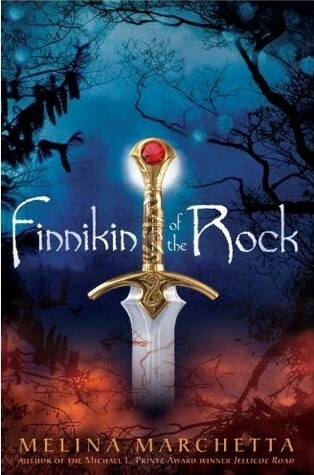 When Finnikin was just a boy, he stood on the Rock of Wonders and pledged to save his kingdom, Lumatere. Not long afterwards, his land was invaded, factions massacred and his father lost to him. Homeless, he has travelled through different kingdoms, recording the stories of others in exile, stories of Lumatere, a land that they are literally unable to enter due to a strange and frightening curse. Years pass and nothing changes until Finnikin, now a young man, hears a voice in his sleep, whispering a name that speaks of hope and salvation, leading him to climb another rock and gifting him the opportunity to honour his pledge of long ago. Finnikin is a man who is at once purposeful and purposeless. At the start of the story, he has long since buried hope, not daring to assume that he might ever return home. On discovering the strange novice, Evanjalin, who claims to know the whereabouts of Balthazar – Finnikin’s friend, heir to the Lumateran throne, assumed dead – his reaction is that of suspicion and anger. However, Finnikin is inherently optimistic as a character and over the course of the book, despite many setbacks, he allows himself to believe that the redemption of Lumatere is possible. It would be hard not to like Finnikin. He’s not always kind, he’s not always fair but he’s hopeful, fiercely loyal and generally kind and his growing affection for Evanjalin (against his own better judgement) goes a long way. While Finnikin is the title’s protagonist, the book really belongs to Evanjalin and a stronger female character is rare to find. Like Finnikin, she is not flawless – in fact, she’s bloody-minded, contradictory and often downright irritating – but she is absolutely fascinating and, deep down, she might even have a heart. Marchetta allows Evanjalin’s character to emerge slowly so that by the end of the book she is truly a tour de force with a voice that will stay with readers long after they leave her behind. As with many fantasy titles, Finnikin of the Rock has a large cast of characters and to talk about all of importance would be to ruin reader’s fun in meeting them for themselves but a special mention must go to Froi. After an ignoble start, Froi remains unlikable for the majority of the book, yet is one of the strongest characters. Marchetta does not attempt to redeem him for early actions in any noticeable way, instead she has him sneer and scorn his way through the story. Cleverly, however, she allows him two short segments in which he is the protagonist, hinting at a slow epiphany and a glimmer of hope. God love Froi, with his slowly emerging moral code and his desperation to make himself useful, he’s both hateful and heartbreaking all at once. At times, the plot of Finnikin of the Rock can be quite convoluted but the heart of the story beats so strongly that it is utterly compelling. Unlike many fantasy stories, myth and magic never threaten to overwhelm what is ultimately the story of those made homeless by tyrants, but who also live with a guilt of their own making. It is the story of a people in exile and while embedded in high fantasy, it brings to mind images of refugees the world over. This is reality writ large on a fantasy stage and the result is a powerful tale for the modern world. The writing, as has come to be expected of Marchetta, is nothing short of stunning. Her move from contemporary to fantasy fiction is seamless and Finnikin of the Rock is as good as any of her previous titles (including the mighty Jellicoe Road and last year’s tour de force, The Piper’s Son). Many have a love-hate relationship with high fantasy but this, truly, is as good as it gets. Finnikin of the Rock is impossible to put down so pick up a copy and become immersed in the story of a lost land, a long dead family and a pair of small, bloody, handprints on a kingdom wall. Highly recommended. Exciting times are a-coming here in The Mountains of Instead over the next few weeks. Firstly, there will be reviews of Melina Marchetta books! Yes - I've read more and loved them and you must all read the reviews and then rush off to read the books too. And then lobby her to write more FASTER. There will also be a review of The Fault in Our Stars by John Green which, thankfully, has lived up to the hype and is really quite extraordinary. 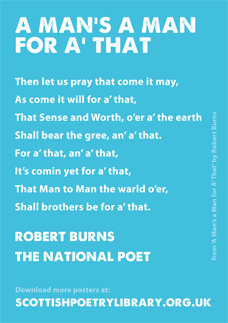 The lovely Jeri Smith-Ready will be celebrating all things Scottish, including her gorgeous creation, Zachary, with a variety of fun happenings next Wednesday - which here in Scotland is Burn's Night (celebrating our national Bard, the lovely Rabbie). You can see what's happening over on her blog and it all looks jolly Scottish and fun. 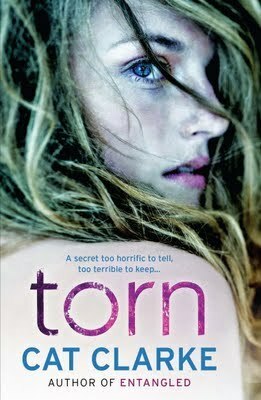 I'll be co-hosting Twitter-y things with Jeri and Cyndi Tefft (author of Between and creator of another awesome Scot, Aiden) and taking part in the Giveaway Hop where you'll be able to win a copy of Torn (set partly in Scotland) by Cat Clarke (Scottish author - see what I'm doing here?). I'll also be using it as an excuse to inflict Tae A Mouse on you all because I love it. 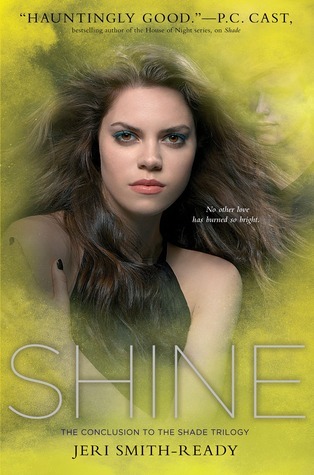 Hopefully, this will all whet not only your appetite for Scotland but also your appetite for Shine, the final book in Jeri's YA trilogy - I was lucky to read it a while ago and it's awesome. While I have decided to generally shy away from blog tours for a while, this is one that I am absolutely delighted to be part of. Celia Rees has stepped away from historical fiction to bring readers a stunning contemporary novel. This Is Not Forgiveness is a briliantly dark look at the plight of one soldier, his brother and a girl who lives on the sidelines. Stop by on the 31st of January for a chance to win a copy and don't forget to check out the other stops on the tour as well as the superb trailer. And that, for now, is about it... However, I'm open to suggestions - what would YOU like to see on The Mountains of Instead? Your wish (as long as it's clean, people) is my command. Cinder is a mechanic. She’s good with wires and hardware and such – a good thing, as a large proportion of her body is made up of these things. In a world where medicine has advanced to the point where those near death can by saved by using non-human parts, she owns a metal foot, hand and a fully operational hard-drive – in short, she’s a cyborg. In New Beijing, she works to support her adoptive mother and sisters, lives in fear of a terrifying plague and a conniving, Lunar queen. Still, Cinder’s getting by OK. OK, that is, until the Emperor’s son, Kai, shows up at her mechanic booth with a broken robot and a winning smile. Rather than a weak-willed Cinderella, hiding in the fireplace and relying on mice and fairies to make her dreams come true, Cinder is a realist. Like her namesake, she’s a hard worker with a mean step-mother, but unlike Cinder Mark-I, she’s no pushover. She works hard and speaks her mind both at work and at home, despite living in a society where cyborgs are seen as sub-human and a home where she is seen as, er, sub-necessary. What is particularly refreshing about Cinder is that meeting a Prince Charming is not the be all and end all of her existence. In fact Kai, in Cinder’s mind, is a lovely but irritating distraction. Instead of pining for something she can probably never have, she pretty much tells him to get lost – not something one could imagine Cinder-One doing. Cinder is not entirely gung ho, though. Behind her tough façade is lies a girl mourning her father, concerned for her sister and struggling with her identity – is she human or robot? She has no idea and this mix of fragile inner core and outer kick-assness works really well. Kai could easily have become a two-dimensional prince, a la most fairytales. Yet instead, Marissa Meyer has imbued him with real personality. In fact, he’s a rather tragic figure stuck as he is between his desire to do what is necessary for the future of his country and his need to do what is right for him on a personal level. There are a few sections of the novel told from his point of view, which allow readers an insight into how the other half lives – which isn’t happily when they seem to be in the manipulative grasp of Queen Levana, the Lunar ruler. Levana is the archetypal evil monarch – with added badness. Seriously, she’s wicked through and through and at times genuinely chilling, not to mention great fun to read. As the other villain of the piece, Cinder’s step-mother Adri is written with a subtle hand – naturally, she’s not very nice but there is an undercurrent of hurt and betrayal that makes her more human than one would expect. The plot of Cinder is well put together. Yes, there’s a ball involved but there is also so much more going on. There are various twists and turns along the way, none of which were particularly unpredictable but all of which were enjoyable. The world building is good with the writing visual enough that it’s easy to envision New Beijing in all it’s cyberpunk glory. There are also darker undertones to Cinder. The near segregation of Cyborgs, the plague that is ravishing the world and the political noose around the Emperors neck all overshadow the fairytale surrounding the titles central relationship, adding depth where needed. Despite the more sinister aspects, Cinder is above all a hugely fun read that readers should be able to zip through pretty easily. The series is to continue with books based on Red Riding Hood, Rapunzel and Snow White and if these are as well-paced, original and enjoyable as Cinder then the Lunar Chronicles are sure to be a success. 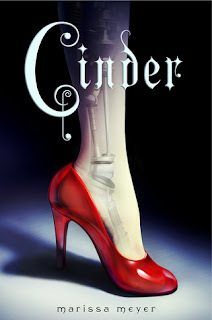 Sci-fi in YA is often surrounded by gloomy portents regarding the future, or haunted by a miserable past – in Cinder these aspects are there but are balanced out by a story that skips along in a world that readers will want to explore again. Great stuff. Cinder is available now. Thank you to the publisher for sending me this title to review. Delany is a hard character to get a bead on. Only seen briefly before her accident the initial sense is of a fun loving girl with a reasonable head on her shoulders, happy with her friends, her family and her future prospects. However, the Delany who wakes from a six day coma is a very different girl. Her feelings of relief, amazement and confusion are tangible, as is her confusion as she starts to get used to a mind that is tangibly different. Always a good girl, Delany’s confusion leads to seeming rebellion and her relationships with those around her start to change in ways that are all too believable and often upsetting. She’s still fairly sensible but finds herself drawn, inevitably, towards a darker reality and her reaction to mystery boy Troy is understandable, even in its idiocy. Troy himself is a nicely drawn bad boy. There is no attempt made to convince readers that he’s a good guy, but certainly he comes across as a victim of circumstance who is deeply damaged. 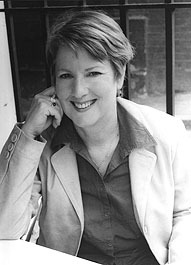 It is a credit to Megan Miranda that she has written a character who is both frightening and sympathetic in equal measure. In contrast to Troy, Decker is one of these rare characters who is deeply good without appearing saint like. He’s flawed in his interactions, his feelings and his guilt yet these aspects are what make is inherent goodness believable. It is a pleasure to see a teenage boy painted so well and the relationship between him and Delany is beautifully realised in all its difficulty. Other characters in Fracture are a mixed and disturbing bunch. While many victims of near death experience report a feeling of displacement, of feeling subtly different, Miranda cleverly walks a grey line with Delany. The insinuation is that perhaps Delany is slightly different and the question is what has made her different. Perhaps, in the case of her friends, they only tolerated her before – readers don’t have enough back-story to be sure. In the case of her mother there is certainly a fascinatingly horrible back-story that explains things somewhat. However, what is clear is that Delany now makes people feel uncomfortable – be it due to her unnatural return to life, a general feeling of wrongness or a deep-seated fear of mental illness, people no longer treat her as they once did. Fracture is a fascinating book. It would be all too easy to pigeonhole it as paranormal, but in actuality it is a medical thriller, and that (for this reviewer) is a welcome first in YA. Miranda has a medical background and has clearly done additional research. From the moment Delany wakes from her coma, the details of her condition, reaction and rehabilitation are both real and frightening. At it’s core, the story explores how little we know about the human brain and posits that many things may be possible in the untapped areas of our mind. In Delany’s case the ability to sense the dying, an aspect of Fracture that is handled in a starkly realistic fashion and when read in the context of Delany’s experience it becomes not a paranormal but a medical condition. There is much in Fracture that is to be commended – in fact, I have no criticism – it’s a perfectly formed story. The ending is dark, frightening and little is resolved yet there is no sense that it needs to be continued. 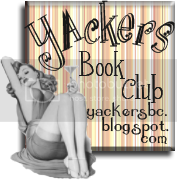 What is welcome, however, is the news existence of e-book, Eleven Minutes – in which Delany’s accident is recounted by Decker (available for free here). After a book where the relationships are often disturbingly ambiguous and the protagonist unsure of her own identity, the opportunity to her through different eyes is an exciting one. 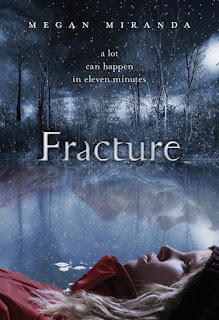 If you are looking for a book that is different, compelling and beautifully written then Fracture is the book to start 2012 with – highly recommended. Fracture is available now. Many thanks to Bloomsbury for sending me this copy to review. After the events of Clockwork Angel, Tessa finds herself living in the London Institute surrounded by Shadowhunters whose future looks increasingly uncertain. The Enclave remain dubious of how the Institute is run, with the bullish Benedict Lightwood heading the charge in terms of change of leadership. Outwith the Institute's doors, Tessa's brother remains at large along with the darkly mysterious Mortmain not to mention his army of clockwork minions. Within the Institute, emotions rise as investigations continue and Tessa, Jem and Will find their lives increasingly entwined. Meanwhile, the Magister remains out of sight, pulling all of their strings like a Machiavellian puppeteer, manipulating a figure at the very heart of the Institute to heartbreaking effect. Now that Tessa has found her London feet, so to speak, she emerges as a strong-willed figure. Unwilling to sit in the background looking pretty, she remains at the forefront of Clockwork Prince. Betrayal at the hands of her brother seems to have imbued her with a steely determination that is admirable and her character development is believable and interesting. Her interactions with other characters are also enjoyable to read. Her friendship with Sophie, fraught as it is by social convention, is touching and believably difficult – in part due to Tessa's unfortunate yet endearing habit of speaking before thinking. Equally, her interactions with Charlotte reflect both Tessa's increased confidence in her own ability and the vulnerability that lies under Charlotte's carefully controlled facade. 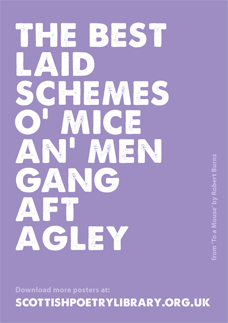 While Tessa remains the lead protagonist, Clare gives almost equal face time to Will and Jem, writing several sections of the book from their alternative viewpoints. While in Clockwork Angel, Will was a rather dark, unpleasant (albeit attractively mysterious and attractively, er, attractive) here he emerges as a character who is running from a fate he feels he cannot escape. His family history is explored and his rather confusing interactions with Tessa explained in heartbreaking manner – all the more so for Tessa's obliviousness. Particularly well written are the scenes that Will shares with Magnus Bane which illustrate not only the extent of Will's own despair but also the depth of Magnus's kindness. Clockwork Prince, however, really belongs to Jem. In Clockwork Angel Jem verged on pleasant blandness, his somewhat beatific benevolence giving no clue to his real character. The only interesting aspect of Jem, in fact, was his painful and fatal addiction – something played out beautifully in Clockwork Angel – but it too verged on imbuing him with an air of sainted martyrdom. This was manageable, however, because it was clear that Clare had plans for the character and she expands Jem beautifully in Clockwork Prince. While he is still good and kind and fair, an edge appears that builds throughout the book building to one scene that is beautiful in its tenderness and one that is shocking in its anger. He's a character that one cannot help but feel for and when Sophie advises that Tessa had better not break his heart, readers will be with her all the way. Sadly Tessa really has no clue what she is doing with either boy. Their individual relationships with her and, more worryingly, with each other are clearly to be a focal point in the next installment of the series. As always, Clare's writing is superb. While Clockwork Angel, out of necessity, spent time building Tessa's London and introducing the core story line, Clockwork Prince adds layers to the plot, the characters and the mythology. While many will sigh at talk of yet another love triangle, Clare has created one with such subtly and sadness that it is genuinely uncomfortable to read; it's hard to envisage how it could possibly end happily for anyone. The Shadowhunters remain brilliant creations, gifted with angel blood but cursed to live hard and isolated lives while the Downworlders watch with interest, sometimes helping, sometimes not. Clare certainly has no problem in heaping misery upon her characters – all are a little broken, a little conflicted and (in all honesty) they all seem a bit depressed – yet she cleverly gives imbues them with true faith in their mission allowing them to appear warriors rather than martyrs to the cause. 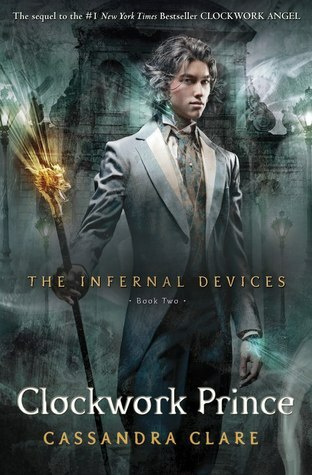 The Mortal Instruments is a series that I have successfully recommended many times, but in many ways The Infernal Devices is an easier sell. With it's steampunk Victoriana, compelling cast and underlying sadness Clockwork Prince joins Clockwork Angel as an unputdownable and, as with anything by Cassandra Clare is a given on many “favourites” shelves. Highly recommended for anyone looking for thrilling action, hilarious asides and genuine emotion – all in one great book. Clockwork Prince is available now. Thank you to Walker Books for sending me this title to review.